For companies of any size, you're unlikely to find a backup solution as powerful and easy to use as Retrospect. This post is brought to you by Retrospect. From mom-and-pop shops to international enterprises, businesses of all sizes benefit from straightforward, reliable backup of key data. Even with access to a massive storage system like Amazon S3 or Backblaze B2, having the right agent to facilitate the preservation of your data can save a lot of valuable time and effort. Retrospect has been a notable backup provider for some time, and it recently added scalable data protection (among other new features). 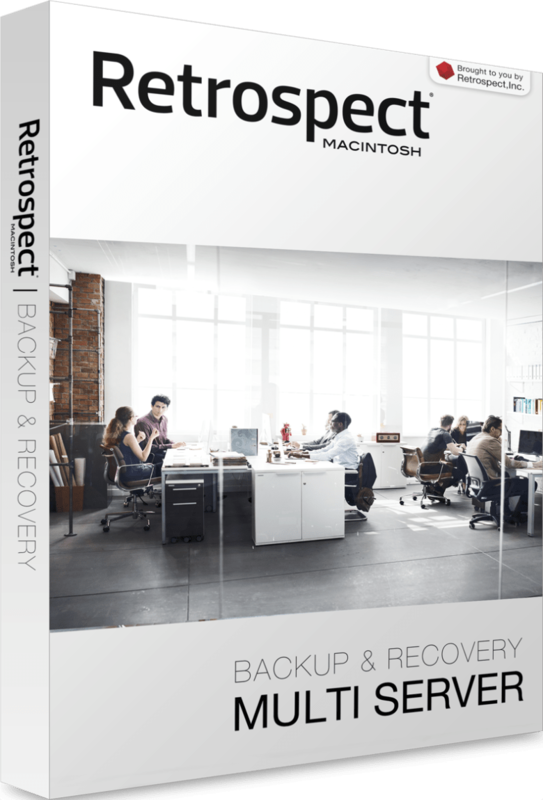 Retrospect achieved an industry first for file-level backup, and is now certified to back up a billion files per backup set, 100 TB of data per backup set, and 50 million files per device. With the latest release, Retrospect 14.0 for Mac, the service continues to press forward with regard to ease of use and breadth of integration. Retrospect has long supported S3, Google, Dropbox and other cloud service providers. Among general boosts in performance and resilience, the latest Retrospect update also adds the venerable and popular business-class Backblaze B2 to its list of supported providers. B2 integrates directly with Retrospect’s hybrid data protection, meaning Retrospect can either store a portion of the backed-up data or simply facilitate storing on and retrieving from Backblaze’s servers. Speaking of integrations, the Mac version of Retrospect now features the same script hook functionality as the Windows version. It’ll support any OS X shell scripting language like Bash or Ruby, meaning organizations with complex or subtle backup needs can craft exactly the types of systems they need, no matter the operating systems, storage providers or server arrangements involved. The same script hooks can also be applied as webhooks for integration with a nearly infinite range of online services like Nagios, Slack and IFTT. Retrospect also now works with Avid and LTFS, making it perfect for production houses generating terabytes of audio or video data. The range of integrations and options offered by Retrospect, not to mention its raw bandwidth and scalability, make it a shoo-in for companies of any size looking to easily safeguard every item. Right now, Retrospect is offering a free 45-day trial. If you’re looking for a sophisticated data-management solution that makes automatic backups a cinch, give Retrospect a try. We bet you won’t look back.